China's Top 500 Private Enterprises Summit 2018 was recently held by the National Federation of Industry and Commerce, and issued the list of China’s top 500 private enterprises. Of them, three originate from Dongguan, being Nine Dragon Paper (Holdings) Limited, Huabei Electronic Technology Co. Ltd, and Souyute Group Co. Ltd. Nine Dragon Paper (Holdings) Limited was the highest listed at 111. Three elected enterprises are of the manufacturing industry. Among the list of China's 2018 top 500 private enterprises, enterprises in Guangdong province have all steadily improved in quality and effectiveness. Guangdong province has a total of 60 private enterprises in the list, ranking it 4th in China. Total income of Guangdong enterprises reached 4,188.269 billion RMB, approximately 17.11% of all revenue in China. 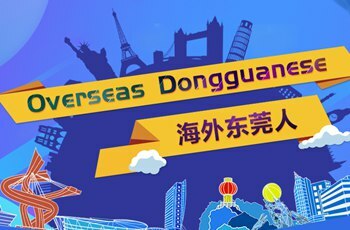 With three enterprises in the list, Dongguan ranks 4th in Guangdong province for enterprises listed. Nine Dragon Paper (Holdings) Limited stands at 111 with income of 55.577 billion RMB, Huabei Electronic Technology Co. Ltd ranks 339th with income of 21.875 billion RMB, and Souyute Group Co. Ltd 414th with income of 18.3 billion RMB. Notably, all three enterprises in the list belong to the traditional manufacturing industry and are part of pilot enterprises in Dongguan's “Doubling Plan”. 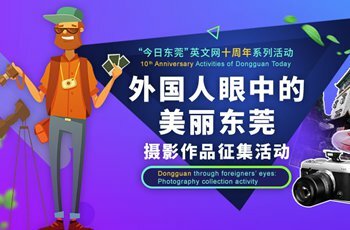 This demonstrates the unique advantages for Dongguan’s real economic development. Nine Dragon Paper (Holdings) Limited and Huabei Electronic Technology Co. Ltd were also Dongguan enterprises listed in 2017. This year, Souyute has joined the list instead of last year’s Dongguan Rural Commercial Bank. Souyute was able to occupy a seat in this year’s lists due to its active transition and upgrade in recent years. Faced with multiple market pressures, it was able to stretch resources and manage costs in recent years, enabling this leading enterprise in the clothing industry to find opportunities amid crisis. Through resource integration, model innovation, and force supply chain management, it has built a strong fashion industry supply chain service system, marking it a microcosm of Dongguan’s manufacturing enterprises actively seeking transformation and upgrading. Last year, Souyute’s year-on-year revenue increased by 190.04%, and year-on-year net profit attributable to shareholders up 69.43% to 613 million RMB. This year, it has continued to maintain a steep development trend. The semi-annual report released by the company showed that in the first half of the year, the company achieved revenue of 10.88 billion RMB, a year-on-year increase of 65.85%, and a net profit of 430 million RMB, a year-on-year increase of 19.09%. Huabei Electronic Technology Co. Ltd was also listed last year. According to the Songshan Lake Management Committee, Huabei Technology is a subsidiary established in 2009 by the mobile phone ODM giant, Shanghai Huaqin Communications. Primarily engaged in the research and production of mobile phone motherboards and complete machines, active projects are almost complete and ready for use, with nearly 6,000 employees. In recent years, Huabei Electronic Technology Co. Ltd has maintained a rapid development trend in Songshan Lake. In addition, Huaqin Communications has also continued to increase capital and expand production in Dongguan. According to information provided by the Songshan Lake Management Committee, in June this year, the Huaqin Communication R&D Centre's capital increase project was officially launched. Total investment is approximately 300 million RMB. It will have the research and development capabilities of communication terminals, and is committed to the research and development of mobile terminals as well as the production of high-end electronic products.